Celebrating 10 Years! A 10 Day Project for 3 New Card Games. 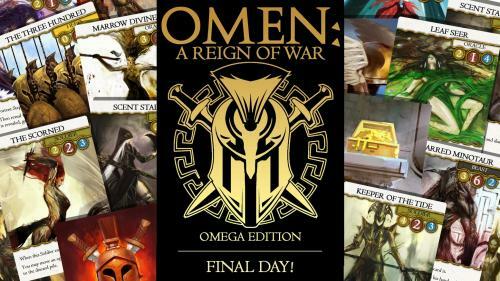 OMEN: A Reign of War. Omega Edition Deluxe. A deluxe, limited edition reprint of the award nominated, highly rated, fan favorite, 2 player card game of dueling Greek demigods. 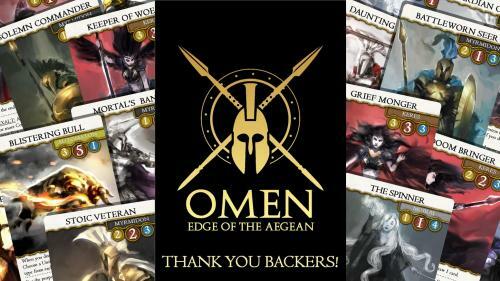 A standalone 2 player card game set in the world of Omen: A Reign of War. Familiar mechanics and theme with all new Units and Rewards! 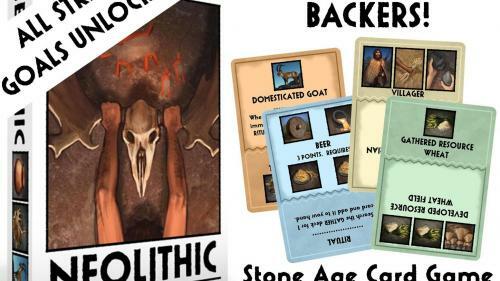 The Stone Age worker placement card game is back with a new expansion. Solo Play. New Tasks. New Cards. 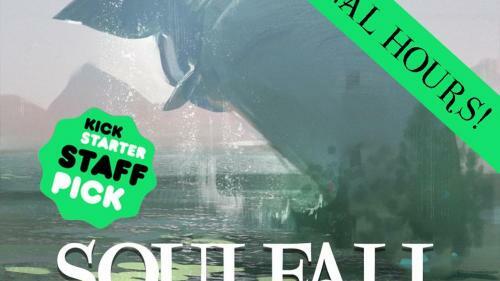 All Stretch Goals Unlocked! 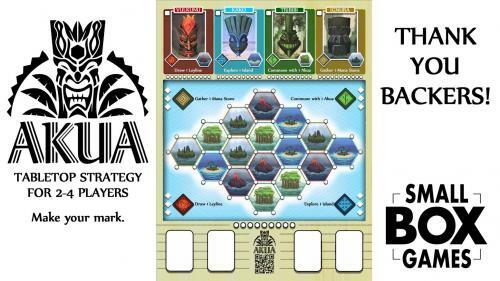 Explore the Islands of the Akua in this unique, minimal component, tabletop strategy game for 2-4 players. AKUA, make your mark. 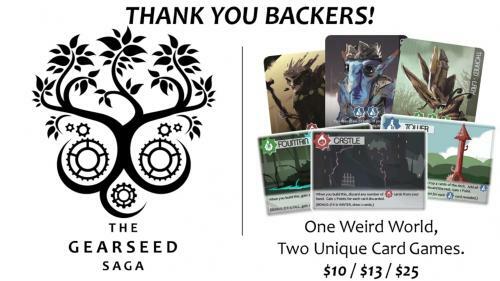 One weird world, two unique games. 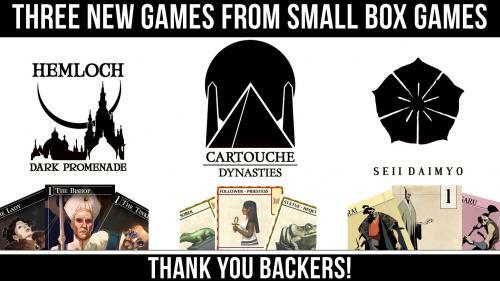 A tile-laying card game for 2-4 and a Kickstarter exclusive Micro Game for 2. Back for one or both. 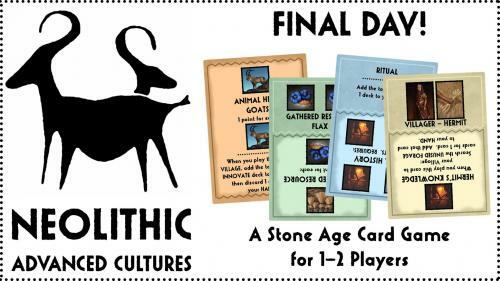 Build on your hunter/gatherer roots to innovate, domesticate, and procreate to advance your village in this Stone Age card game for 2. A clever game with a simple name. 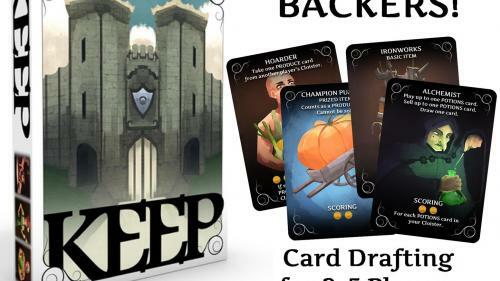 KEEP is a drafting card game for 2-5 players by Small Box Games. This is a quick 10 Day Project. An 8 Day Project. 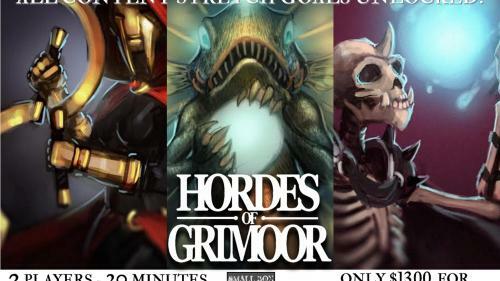 Grow your Horde and lead them to victory in this small, two player card game. Featuring the art of John Ariosa. A new board game from Small Box Games featuring unique art and theme, simple mechanics, and multiple paths to victory for 2-4 players.